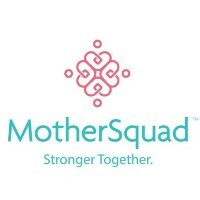 People followed by Mother Squad, Inc. Created by moms. For moms. Video chat support groups for new moms facilitated by experts with years of experience working with moms. Writer, Founder of TheDistillery.life, believer/teacher of meditation, original New Orleanian. A collective voice for women of color solidarity and liberation. Warding against the sunken place. Not here for delusional Becky or Chad the Explainer. 30-something Japanese living in London. Used to work in tech. Now a stay at home mum.